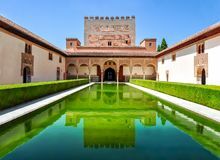 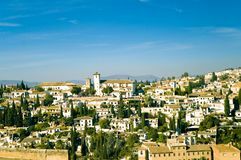 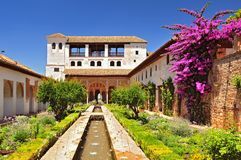 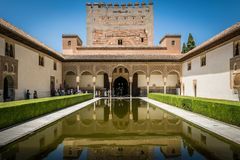 Granada Historic Alhambra at Pool Generalife Granada, Spain - 5/6/18: Patio de Comares, Nasrid Palace, Alhambra. 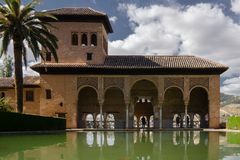 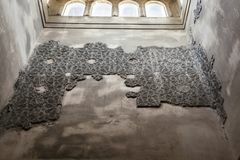 Ancient arab hammam in Spain. 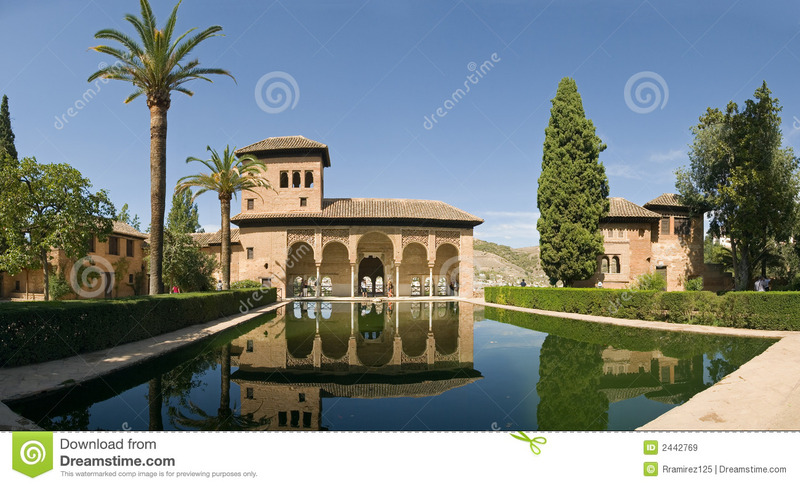 patio of the myrtles Alhambra Palace courtyard pool in Granada, Andalusia, Spain. 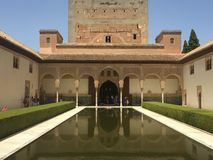 Reflection Pool at Alhambra Alhambra in Granada, palace, garden and water Court of the Myrtles in Nasrid Palace in Alhambra, Granada, Spain Fountain and gardens in Alhambra palace, Granada, Andalusia, Spain.